The Life Fitness Treadmill T3 Go Console display is a top-grade training partner for ambitious home workouts. The 3 HP motor accelerates the Life Fitness treadmill to a maximum of 20 km/h and offers challenging workouts even for experienced athletes. The running surface of the Life Fitness treadmill T3 offers enough space with 153 x 51 cm. 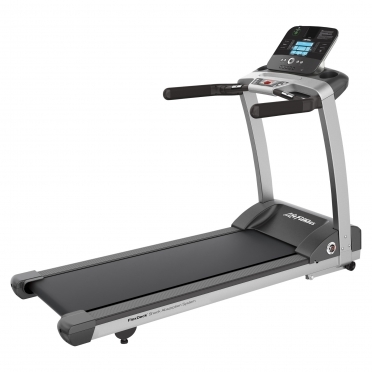 The incline of the Life Fitness treadmill T3 with Go console is adjustable between 0 and 15 percent to simulate ascents. The Life Fitness treadmill T3 with Go console is a top-grade training partner for ambitious home workouts. The 3 HP motor accelerates the Life Fitness treadmill to a maximum of 20 km/h and offers challenging workouts even for experienced athletes. The running surface of the Life Fitness treadmill T3 offers enough space with 153 x 51 cm. The incline of the Life Fitness treadmill T3 with Go console is adjustable between 0 and 15% to simulate ascents. The Life Fitness treadmill T3 with Go console has a sturdy frame construction, which can be loaded up to 159 kg abd resists even intensive workout sessions. 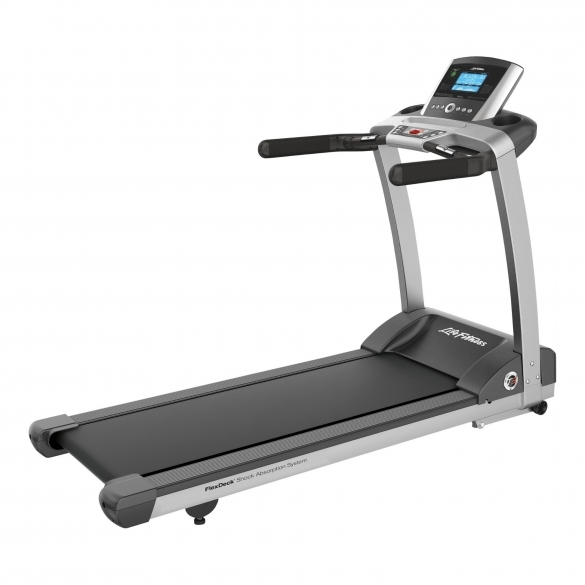 The FlexDeck® shock absorption system provides comfort and reduces the kick up to 30 %, compared to other treadmills. Running on the Life Fitness treadmill T3 with Go console is very joint-gentle. 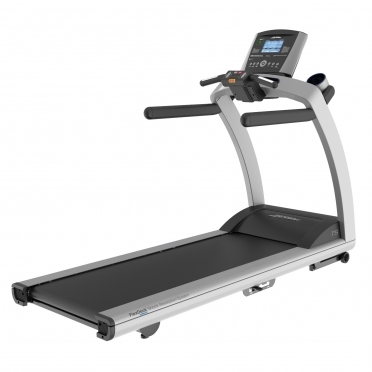 The Life Fitness treadmill T3 offers 13 motivating programs for a varied workout. 5 of them are pulse controlled. 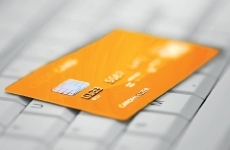 Your heart rate is measured by integrated hand pulse sensors or a provided chest strap. Thanks to the big LC display of the Life Fitness treadmill F3, your data like pulse, calories, distance, etc. 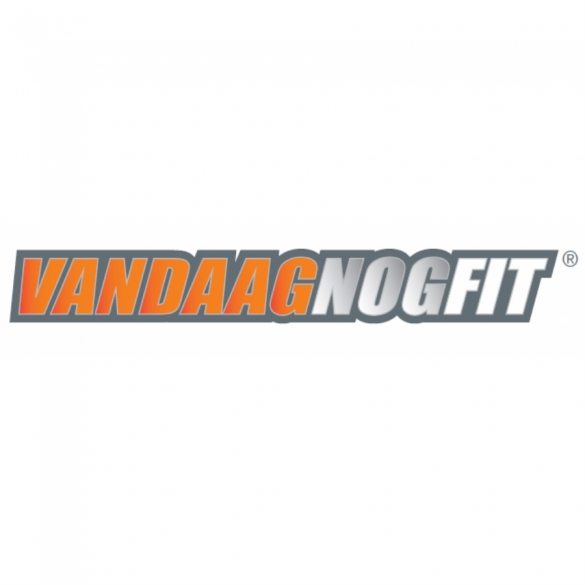 are always indicated and you control your workout. 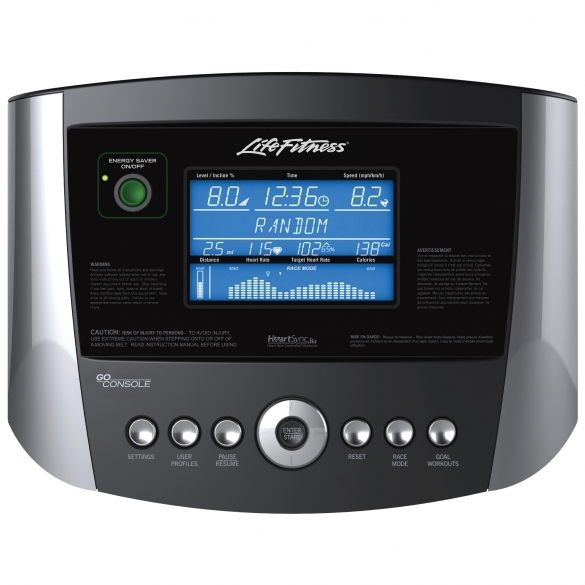 2 users can safe their personal data and recall them while exercising with the Life Fitness T3. Each user can save a personal workout. 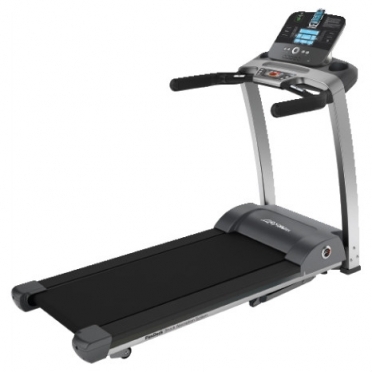 The Life Fitness treadmill T3 with Go console has an Energy Saver function. 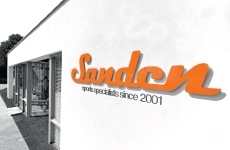 Up to 90 % less power consumption are possible for a switched on but not used treadmill. Practical transport wheels and files for drinks complete the equipment of the Life Fitness treadmill. - Illustration similar. 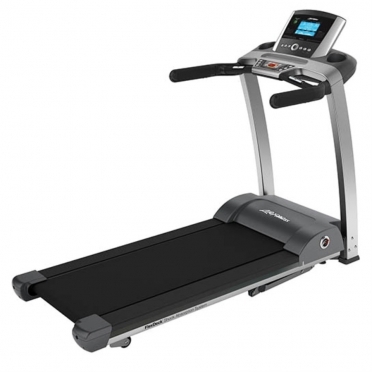 You get the Life Fitness treadmill T3 with Go console with German speaking console.